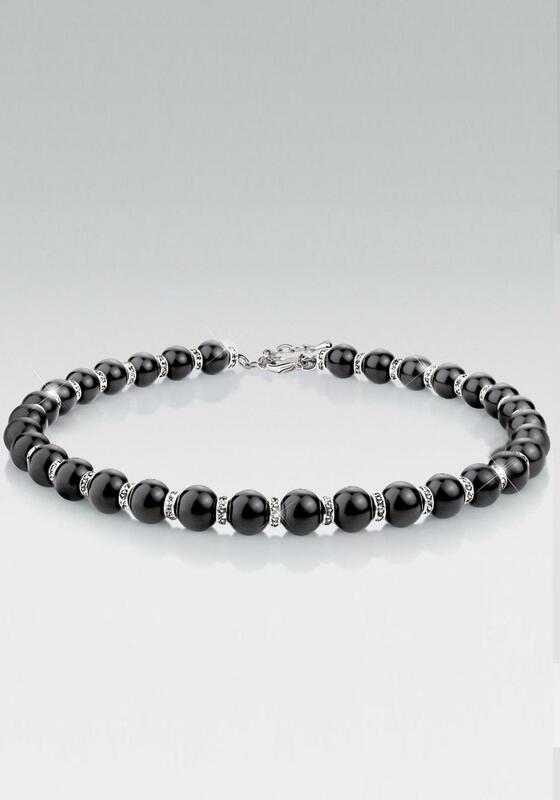 This is a beautiful structured neckpiece from the Greta Garbo Collection of Newbridge Silverware. 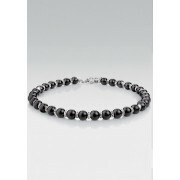 The necklace is the height of sophistication and glamour and is set with black clear stones and crystals. After washing, rinse well in warm water and then dry thoroughly using a clean cloth. Never wear your jewlellery into the shower or bath – layers of soap can build up, making your jewellery look dull. Remove your jewellery while doing gardening or heavy work to prevent damage. Never wear your jewellery into a swimming pool – the chlorine in the water can damage and discolour gold jewellery.